A supernova that signals the death of a massive star sends titanic shock waves rumbling through interstellar space. An ultra-dense neutron star is usually left behind, which is far from dead, as it spews out a blizzard of high-energy particles. 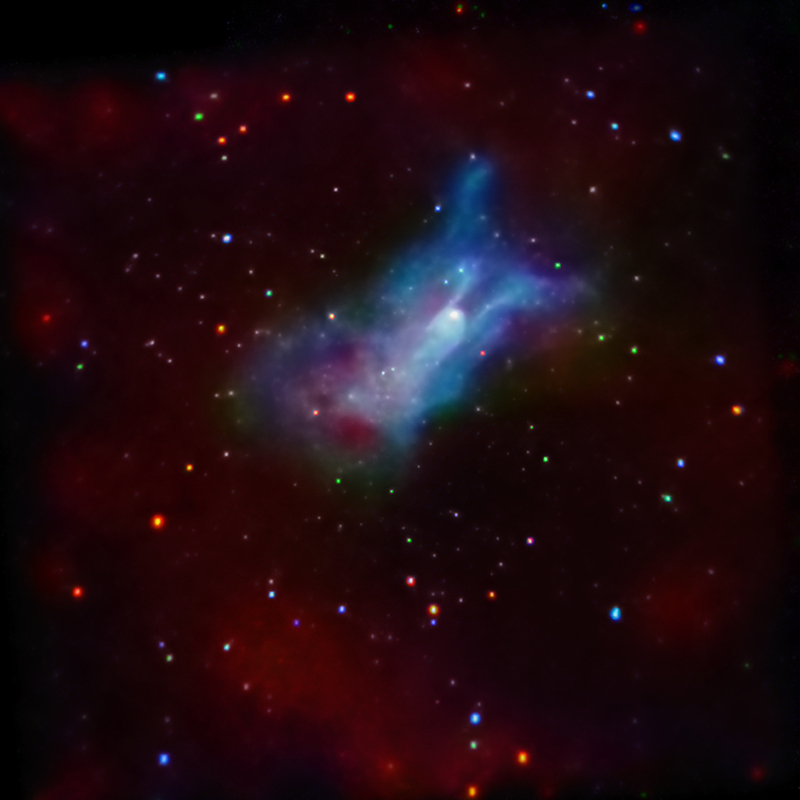 Two new images from NASA's Chandra X-ray Observatory provide fascinating views — including an enigmatic lobster-like feature — of the complex aftermath of a supernova. 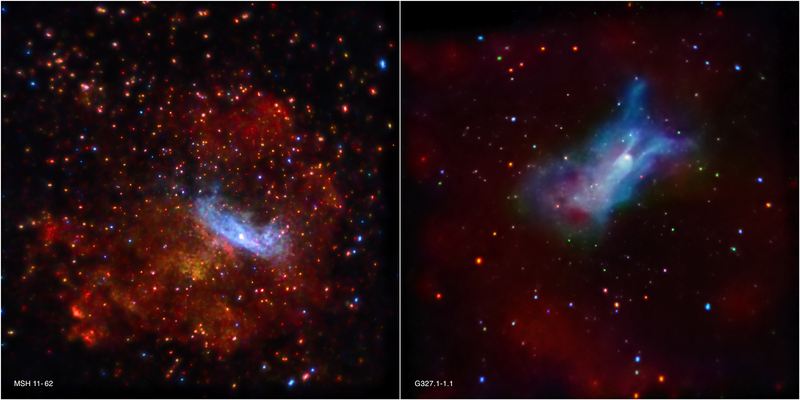 These results are presented at the "15 Years of Chandra" symposium (http://cxc.harvard.edu/symposium_2014/) by Patrick Slane of the Harvard-Smithsonian Center for Astrophysics, Cambridge, Mass., and Tea Temim of NASA's Goddard Space Flight Center, Greenbelt, Md. Scale Image is 17.5 arcmin across (150 light years). Scale Image is 55 arcmin across (256 light years). What an outstanding time we live in that we mere mortals are enabled to see the fabric of time and space thank you for this site that as dark energy pushes our universe apart we have record of where we have been for future generations and to continual studies.